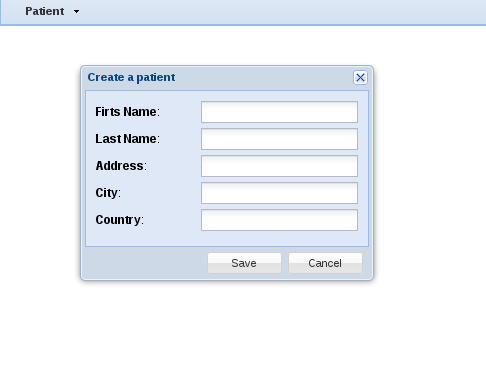 In a previous article I demonstrated how to build a ExtJs application. 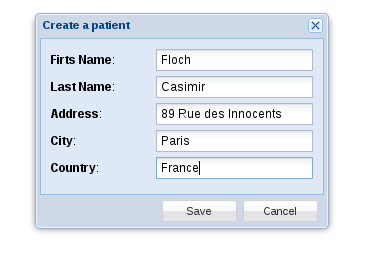 In the next lines I will show the content of a small patient management application using ExtJs as client-side framework and Java web with Spring framework in server-side. We need first to create a new Java Web project ( please, follow this tutorial ) with Spring Web MVC into NetBeans IDE. Mine was named PatientManagement . In this controller we use the singleton Ext.Ajax to send an HTTP request to a remote server. 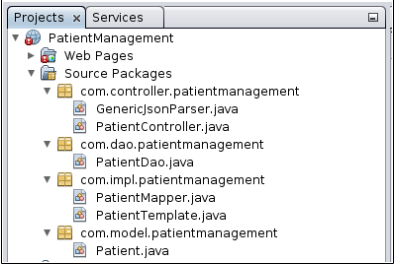 In our example we will use the method POST to send the data and we will use the server-side servlet PatientController.java (see below the code source). 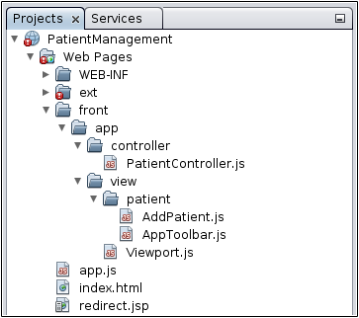 The JSON object is patientcreateData. The web.xml file has been modified according the project to have index.html file as welcome page. This class is very important since there is no method in JSON-P API to bind Java object and JSON object. It parses the Json object a return a map that is better easy to be used in Java code.